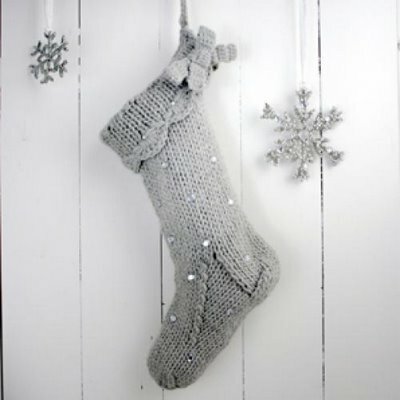 I am very in love with this gorgeous knitted stocking with little crystal embellishments. It (almost) makes me want to start knitting! But I think I will leave that to the experts and try and source a ready-made version...if anyone knows of where to find, please let me know. 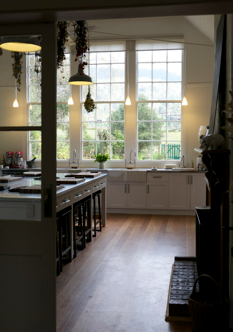 Doesn't the colour of the wool look lovely against the white boards? It makes me feel excited about Christmas and the chance to decorate. 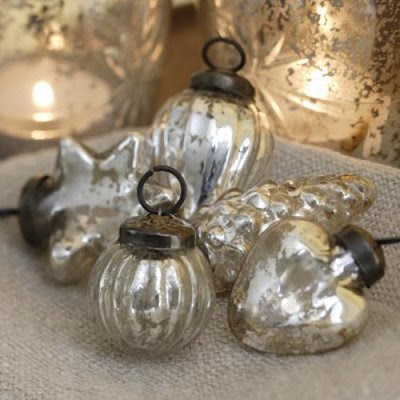 I adore silvered glass baubles such as these. I can't get enough! I have seen them for sale in a store in Hobart, Store and co. I think I will have to go shopping... I am picturing them hanging from white painted branches in a galvanised tin tub. With a bit of linen thrown into the mix. Somewhere. I know that stocking is so nice isn't it. I'm alright when someone starts my knitting but I would love to be able to follow a knitting pattern. On my very long to do list. I will need some more time to remember where I have all the decorations stashed. I buy a few more each year. I think I need a bigger box. Those silver decorations are gorgeous. 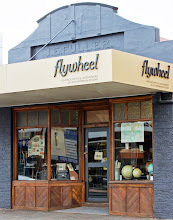 I need to get out more....still yet to visit Store & Co., maybe next time I'm down that way! Another weekend almost gone, hope you've had a good one. 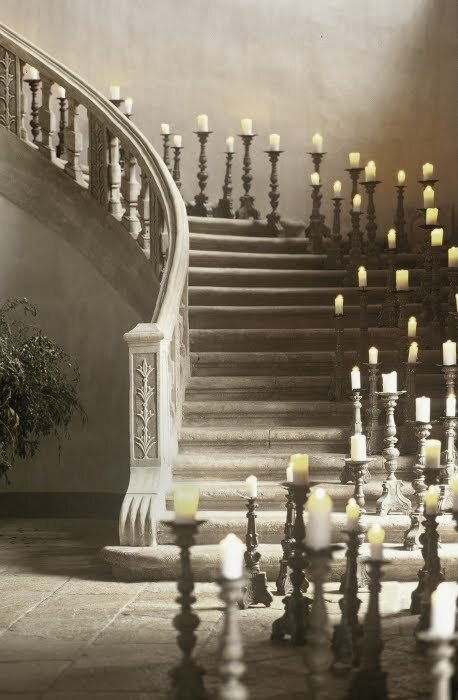 how could I go and not mention all of those gorgeous candlesticks on the stairs in the above picture. Imagine if I bought all of them, Robert would have a heart attack!!!!!!! Look on the bright side with your christmas decorations, one day you will have a different colour scheme for each room! Gorgeous day here, hope the sun is shining there too. I also love that stocking and you are so right it does have an extremely festive feel to it against the white board and the sparkly snow flakes. Did you ever find a silver stocking? I am in love with the one you have posted!! Thanks!